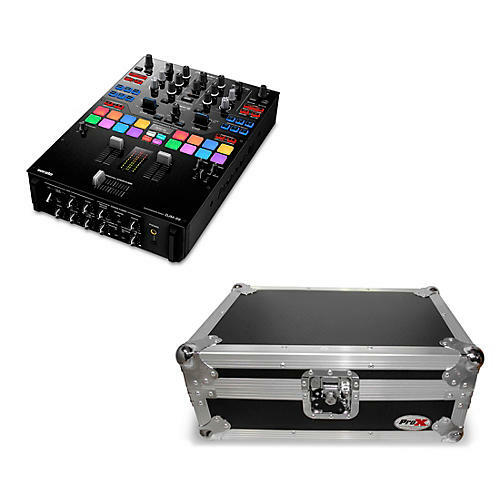 This convenient DJ package makes it easy to get started quickly, so you can spend more time rocking the party and less time researching what gear to buy. We’ve done all the work for you and hand-selected the components for optimum performance and value. You can count on high-tech features, reliable components and powerful, premium audio that will let you sound your best, gig after gig. A professional 2-channel battle mixer designed for use with Serato DJ, the Pioneer DJM-S9 is packed with features to take your DJ game to the next level. The DJM-S9's innovative Magvel Fader Pro can be completely customized with multiple options to suit many different styles. Built-in rubber bumpers provide an incredible response when cutting and the eight performance pads per channel give you instant access to samples, cues and more. And if that's not enough, the DJM-S9 is jammed with built-in effects and assignable buttons that can be mapped to access effects in Serato. Protect your valuable investment with this rugged, road-ready case, designed for a snug fit with high-density interior foam to cradle your gear. The case’s durable exterior will not only protect your gear from dust, dings and other damage, it will give your setup a timeless, sleek, professional appearance that commands respect when you show up for your next gig.